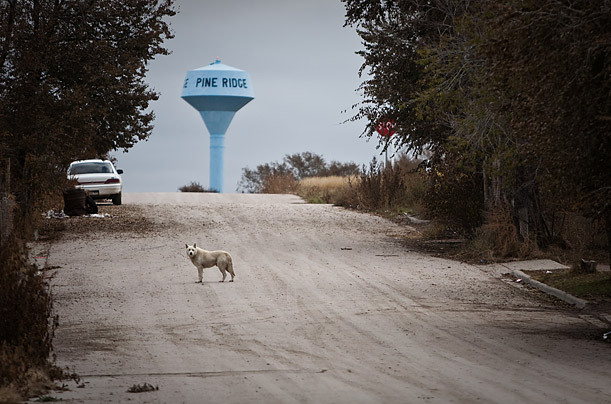 Isolated on 3,400 square miles in southwest South Dakota, the Pine Ridge Indian Reservation offers a spiritual home to the Oglala Sioux but little in the way of economic opportunity. For the tens of thousands who live there  the exact population is hard to calculate; estimates range from 28,000 to 40,000  there is little or no industry or commercial development, no banks or discount stores. The nearest urban center, Rapid City, is 120 miles away; public transportation is non-existent. Poverty and alcoholism are rampant.